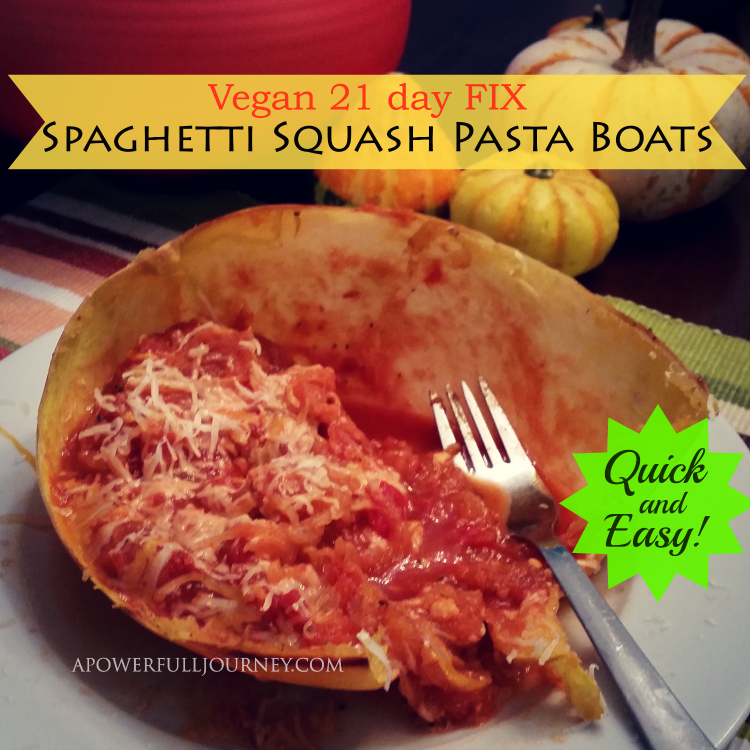 a power full journey: Spaghetti Squash Pasta Boats - 21 Day Fix Recipes - Vegan! 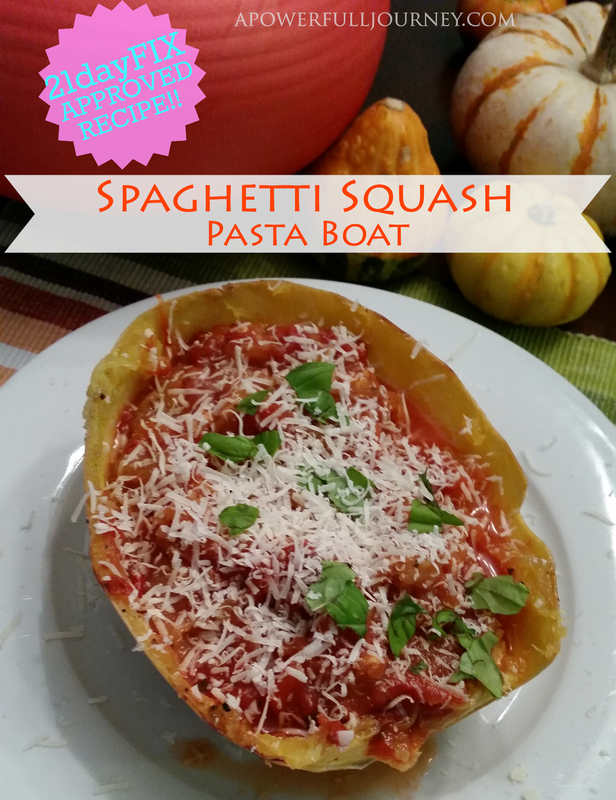 Spaghetti Squash Pasta Boats - 21 Day Fix Recipes - Vegan! I LOVE pasta -- and pretty much all carbs!! It makes it a little tricky only being able to have two yellow containers a day on the fix, so I have been experimenting with healthy vegetable alternatives!! Check out my Zucchini Spaghetti recipe with a Hearty Lentil Marinara!! mozzarella or parmesan, shredded, broiled until bubbly! Add and thoroughly combine desired amount of made my Tomato Sauce sauce (I won't cry if you got a good brand like Muir Glen!) along with any additional Garlic Powder, Sea Salt and Black Pepper, to taste. Return to squash skins. Top with additional tomato sauce and optional mozzarella or parmesan, if desired. Garnish with fresh basil, and enjoy! !